Bell talks about ending the stigma surrounding mental illness. But when I needed time off to deal with my mental health, a Bell radio station fired me. 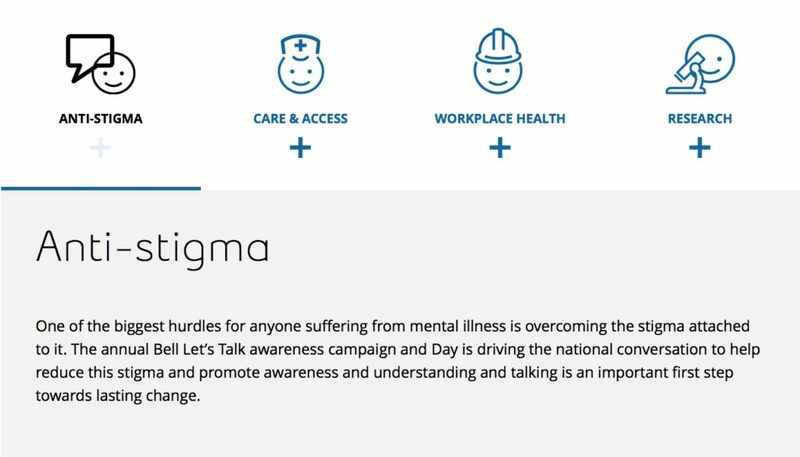 Today, a giant Canadian company is doing a wonderful thing for mental health awareness. 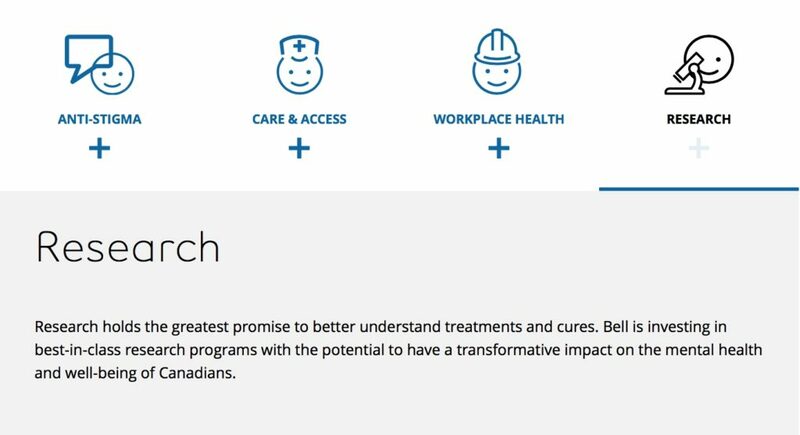 The hashtag #BellLetsTalk will be used a record-setting number of times and will raise a record-setting amount of money. 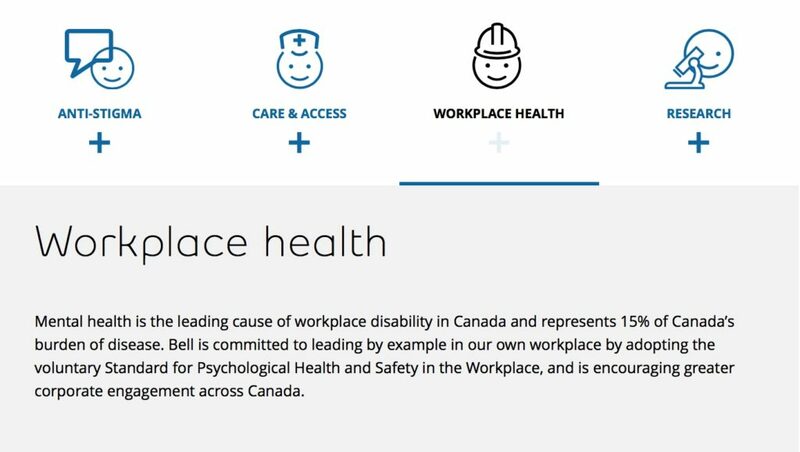 Tomorrow, praise will rain down on Bell for their record-setting generosity, and all I’ll be able to think about is how Bell responded to my mental health needs when they were my employer. They fired me. Since the New Year, something in me was off, I wasn’t myself. I was depressed, and to me it didn’t make sense, at all. Life was good, wonderful actually, but I was struggling. For two years, I’ve been taking medication to assist with my conditions of depression and anxiety, but I hadn’t had a flare up like this in more than a year. I was miserable and scared of not being able to act like everything was okay, so I went to see my doctor. On Jan. 12 in the white-walled office of a worried physician, I let it all out. I wept, I admitted how I was feeling, and that I needed help. Understanding and thorough, he prescribed two medications and two weeks off work, to take it easy, and allow my body to adjust to the medications. I tried bargaining with him to have one week, but he insisted that for my health, I needed two. I obliged. Driving to his office that morning, I can remember the strong grip I had on the steering wheel, willing tears not to swell up my eyes just yet. I can remember thinking of my partner; my wonderful, handsome, loving partner, who I didn’t want to lose because of my state. The drive, I remember, was a blur. I made it to the parking lot unable to recall the route I had just taken. The drive back to my own office, at K93, a Bell-owned radio station in Grand Falls, N.B., was totally different. My eyes still ached lightly from the tears I had just shed. My thoughts were absorbed with the excitement of telling my partner everything I had just learned and most importantly, I was going to be okay. I had some closure in that seven-minute drive that fed me like fuel, ensuring me that I was going to be okay. Everything was going to be okay. My next obligation was to tell my supervisor that I would need time off. I was nervous, but had a doctor’s note in hand. They would have to understand, right? With a staff of four, obviously, my absence would be noticed and questioned, so I gathered my staff and told them everything. I’m not embarrassed by my condition, nor am I embarrassed by needing time for treatment to take effect. With such a small staff, we were all friends and I was sure they would understand and appreciate my honesty. At this point, I felt liberated. I had taken care of my health, opened up about it with my peers, and was on track to being myself again. Except an hour after my chat with the staff, I was terminated for reasons unknown. When I was fired, I was told multiple times I would find out the following week on what grounds that decision was made. They were unable to tell me then and there. I was fired an hour after handing in a doctor’s note for 10 days off work. I was fired an hour after opening up about my struggles. It seemed I was fired because struggling with mental health was nothing more than a burden to my employer. “Caught off guard” doesn’t even begin to explain the feeling I had leaving the studio that day, knowing I wouldn’t ever be going back. Flashbacks rushed through my head of the morning prior to my termination. I had sat down with my supervisor, who was planning a vacation the last week of January. We were going over things I needed to take care of in his absence. That was the day before I was fired. During the same sit down, he asked if I would be interested in a new position at the company starting in June…in June! That was the day before I was fired. Perhaps I shouldn’t have shared so much information with the people I thought would understand. Perhaps I should have crumpled up the doctor’s note and thrown in on the floor of my car. Perhaps I should have continued the struggle of pretending everything was okay while on the inside, I was suffering. If I chose those options, I’m sure I’d still have a job today. An initial phone call with HR left me with many, many questions regarding my termination, so I’ve moved onto contacting additional Bell contacts for some sort of understanding or closure. Over a dozen emails and calls have gone unanswered. The people I had texted, talked to, and emailed with daily for 10 months had completely vanished. And of the dozens of coworkers I had across eight radio stations between New Brunswick and Nova Scotia, only two reached out to me. When searching for answers with the Federal Labor Program, I was told complaints about discrimination cannot be made if an employee has not worked at least 12 months with the company. Interestingly, companies that follow provincially regulated labor laws are given more support, and are able to get help with the Human Rights Commission no matter how long the work term lasted. With provincially regulated laws, discrimination can happen on the first day of work, and support will be available to you. This is why people shy away from “erasing the stigma” of mental health. Because big, heartless bullies like Bell throw you out in the dirt and forget you exist. The toughest pill to swallow through all this is that for a brief hour or two, I was on the right track and feeling good, feeling in control. Now, thanks to Bell, I can’t leave my house. To some, that may sound silly or maybe even dramatic, but I have this feeling of safety and control in my house. For the time being, I can’t bring myself to leave it. Thanks to Bell, that initial two week “take it easy” period my doctor gave me has been bumped up to eight weeks. Tomorrow, praise will rain down on Bell for their record-setting generosity, and all I’ll be able to think about is how they actually treated me. By their actions, my mental health was a burden that erased my worth. EDITOR’S NOTE: We asked McLean if Bell had reached out. 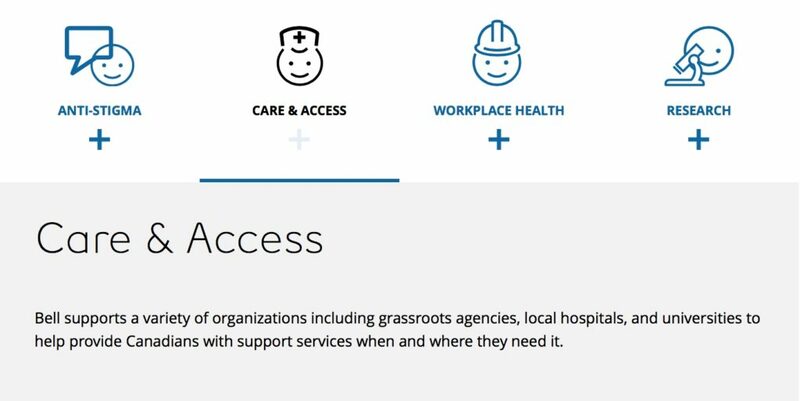 While she initially believed she hadn’t been contacted, upon further scrutiny she discovered a resource website she’d been sent by the company with links to mental health resources as part of her employee assistance plan.